Cityhall:Look Me In My Face, Though! Look Me In My Face, Though! Title: Look Me In My Face, Though! First Degree The D.E., Brotha Lynch Hung, and Phonk Beta have produced a 70 minute musical masterpiece. 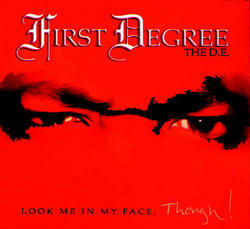 The innovative, dark, fast, gangsta, thought-provoking grooves are years ahead of its time. 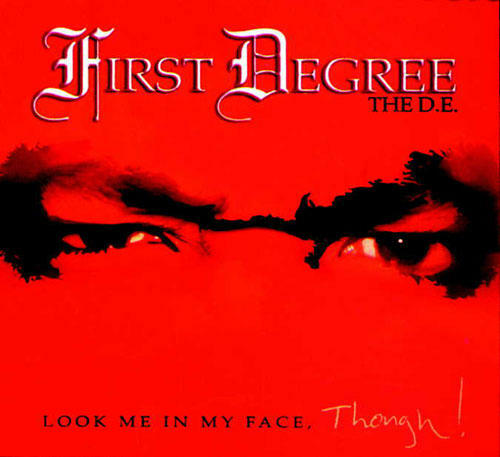 First Degree The D.E. 's "Look Me In My Face, Though!" includes 18 tracks of new music with live instuments and multiple appreances from Brotha Lynch Hung. The D.E. gives his fans an in-depth look into his personal life and Sacramento-based lifestyle. The new single, "White Girls On Drugs, Leave Them Drugs Alone" is a hit at the shows and underground radio!